This site is owned and operated by Smoke Free, Inc.
Our site's registration form requires users to give us contact information (such as username and email address). We use customer contact information from the registration form to send the user special offers and updates. The customer's contact information is also used to contact the person when necessary. As an individual, you have the opportunity to limit the personal information you provide. We provide you with the opportunity to 'opt out' of having your personally identifiable information used for certain purposes when we ask for this information. If you no longer wish to receive our newsletter and promotional communications, you may opt out of receiving them by contacting us at support@smokefreeonline.com. From time to time, we may provide you the opportunity to participate in contests or surveys on our site. If you participate, we will request certain personally identifiable information from you. Participation in these surveys or contests is completely voluntary, and you therefore have a choice whether or not to disclose this information. The requested information typically includes contact information (such as name and shipping address) and demographic information (such as zip code). 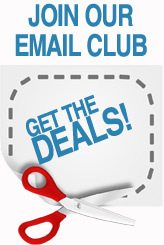 Members and affiliates receive periodic email notices that include exclusive special offers and information about sales, promotions, new releases, and other relevant information. If you no longer wish to receive these emails, you may opt out by contacting us at info@smokefreeonline.com. The Company collects prospective affiliate and webmaster contact information to process applications and conduct business. This information includes: name, checks payable, address, city, state/province, country, minimum payout, password, source of referral, tax ID (EIN or social security number for U.S. residents), and date of birth. The Company reserves the right to disclose your personally identifiable information as required by law and when we believe that disclosure is necessary to protect our rights and/or to comply with a judicial proceeding, court order, or legal process served on our web site. The Company web site(s) contains links to other sites. The Company is not responsible for the privacy practices or the content of such web sites. Our site uses a secure online ordering system that enables clients to purchase products online. The Company collects users' financial information, such as account and credit card numbers, for verification purposes only. Financial information that is collected is used to bill the user for products and services, and never for any other reason. We follow generally accepted industry standards to protect the personal information submitted to us, both during transmission and once we receive it. However no method of online transmission or electronic storage is 100% secure. Therefore, while we strive to use commercially acceptable means to protect your personal information, we cannot guarantee its absolute security. If you have any questions about security on our web site, you can email or call us. ©2012 Smoke Free, Inc. All Rights Reserved.